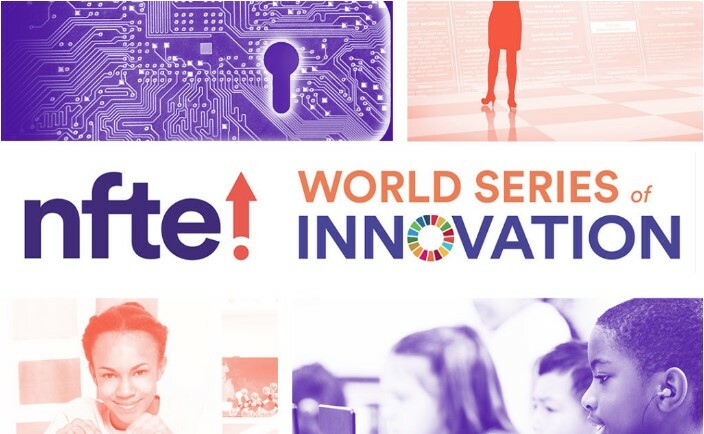 The Network for Teaching Entrepreneurship (NFTE) is an international non-profit organization providing entrepreneurship training and education programs to young people. NFTE has been operating for 30 years, and has had an office in the Bay Area for two decades. And in July of 2017, NFTE relocated its Northern California office to San Leandro. NFTE engages 3,000 students across the Bay Area, and last year alone, NFTE launched over 1,700 Bay Area students on their entrepreneurial journey, through in-school and summer programming. In an innovation economy, there are no traditional paths to success. 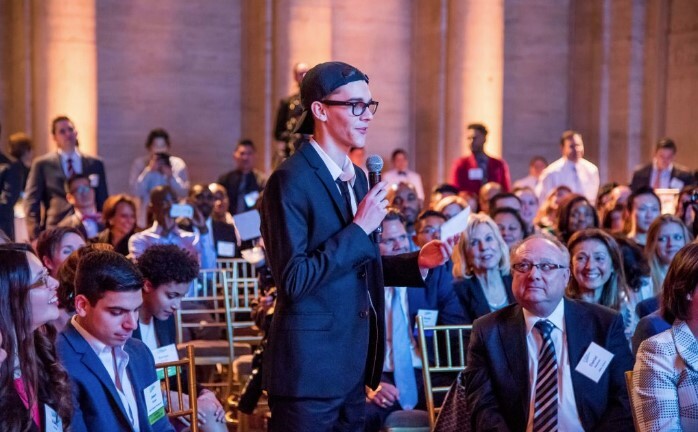 To activate the entrepreneurial mindset in young people, NFTE’s Pathway begins with igniting the imagination and takes students through the journey of creating and refining an original business concept. Students are guided by NFTE’s expert entrepreneurial Teacher Corps, and supported by entrepreneurs and successful business people. Students then take the stage in NFTE’s renowned business plan competition series, presenting to esteemed judges. Throughout the Pathway, students earn recognition of the skills and concepts they are mastering, ultimately having the opportunity to earn the first-ever industry-recognized credential to certify entrepreneurial mindset and startup skills. NFTE’s San Leandro office works with students across the Bay Area, including students in San Leandro High School’s Academy for Business and Science. This year, San Leandro’s own Simone Hufana (right) won 1st Place in the Entrepreneurship 2 Seed Funding competition and Joseph Franco from Mt. Eden High School in Hayward was the Runner Up in the Entrepreneurship 1 competition. 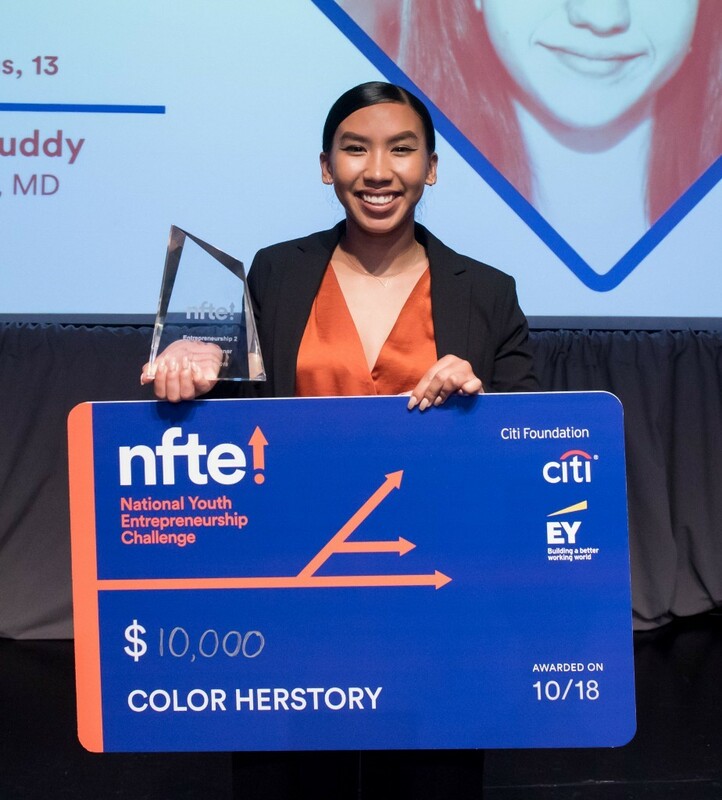 They were among 23,000 youth across the U.S. to engage in this competition, and together they won $15,000 to further develop their businesses and launch their careers. Joseph Franco appeared in an ABC7 interview about F-Connect, an APP designed to help foster youth find mentors, housing and get to college. You can watch Joseph’s inspirational interview below. NFTE is looking to engage further with the San Leandro student community, as well as San Leandro businesses, and will be hosting a table at It’s a Wonderful Night in Downtown San Leandro on Friday, December 7. 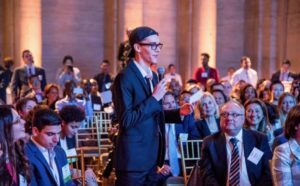 Additionally, on Thursday, December 6, NFTE will be hosting an all-day Emerging Entrepreneurs Training for educators interested in one-day exposure to the basics of NFTE’s approach to youth entrepreneurship. Click HERE to register for this event. If you are interested in NFTE’s programs, click HERE to learn more. If you would like to volunteer, click HERE to register. Or, if you would like to support the students of NFTE with a donation, click HERE.